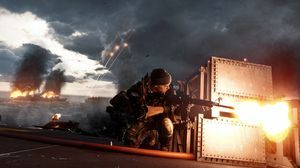 Former EA boss John Riccitiello pitched Battlefield as EA's answer to the Call of Duty juggernaut. 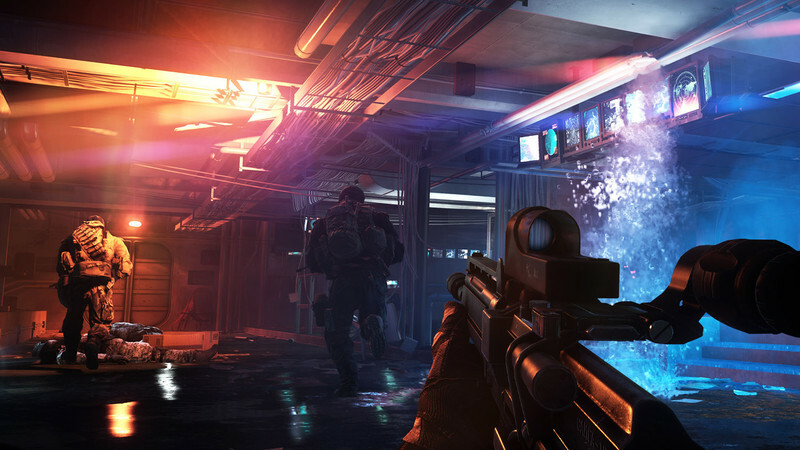 With Battlefield 4, DICE appears keen to step away from such comparisons and focus on its own vision for the genre. James Cullinane speaks to executive producer Patrick Bach in Los Angeles. There’s a famous quote attributed to Henry Ford that’s as insightful today as it was when he first said it. “If I had asked people what they wanted, they would have said faster horses.” Ford, of course, was talking about mass-producing automobiles in 1913 before there was any corresponding demand. But one hundred years later, we still don’t often know precisely what we want. The only difference is that today we’re able to take to Twitter and Facebook, and overwhelm creators with our unsolicited demands. Patrick Bach is all too familiar with that kind of vociferous community. More than once, a quote from Bach has been maliciously boiled down to a salacious sound-byte expressly designed to agitate gamers into clicking links. “Someone will probably rip a quote from this interview and turn it into something really bad, because that’s what they usually do when I speak,” begins Bach deliberately, in an interview with Gameplanet in Los Angeles. 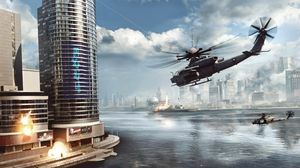 We’re here to talk about Battlefield 4, the next highly-anticipated instalment in the ongoing series of modern combat games renowned for their huge scale, and mix of infantry and vehicular warfare. 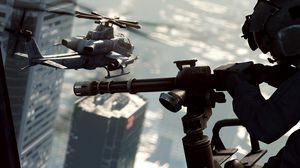 In Battlefield 4, DICE has set out to take the concept of destruction further with what it calls “Levolution”, something that sounds like it was dredged up from the blackest pits of the marketing department. These lessons are being brought to the singleplayer campaign as well. 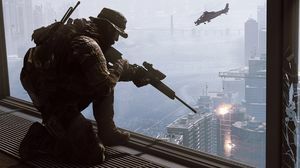 Bach is candid in describing issues with Battlefield 3’s somewhat underwhelming singleplayer campaign, and how DICE intends to improve on it in Battlefield 4. Differentiation is critical in a genre and a market that has become cluttered with me-too competitors. 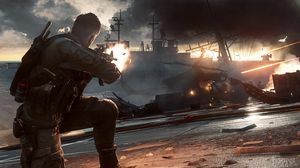 “I think the landscape has been a bit too lucrative, which maybe attracts the wrong games, or the wrong developers because they just want to monetise – ‘how hard can it be?’ – tick all the boxes,” contends Bach. “I think we’ve been lucky. When we built our first Battlefield game, we asked ourselves if it was possible to build a first-person shooter with vehicles. It has never been done, we’re crazy to do it, let’s try. “We’ve kept doing that. That, to me, has been the most – how can I put it – liberating feeling of all: looking at what you want, then building that and having people say, ‘Wow, that’s amazing,’ rather than doing market research, or maybe only looking at the community. 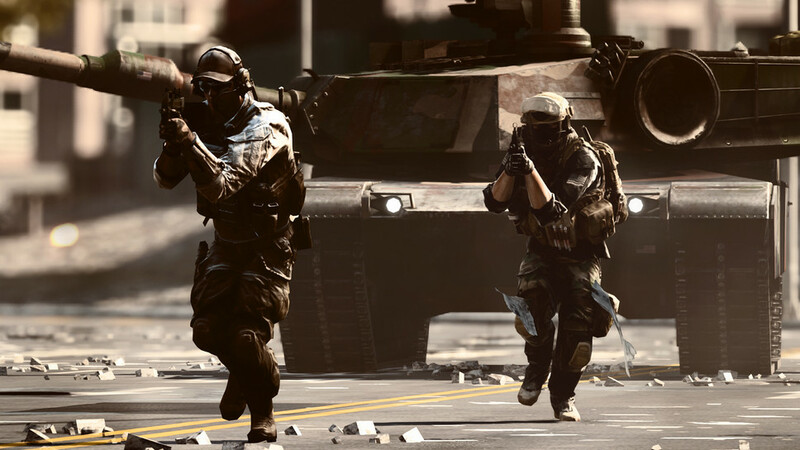 Battlefield 4 is coming to PC, Xbox 360 and PlayStation 3 on the 31st of October. It will also be available on PlayStation 4 and Xbox One after those consoles have launched. We talk to DICE's Daniel Matros.